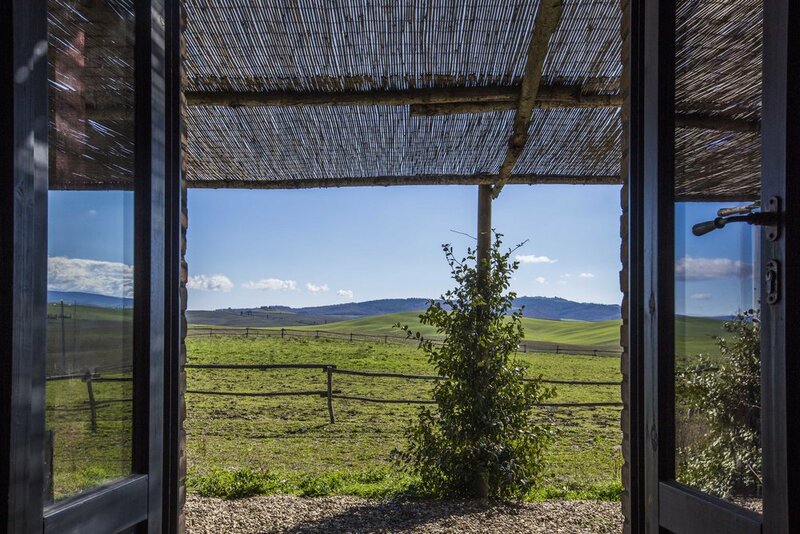 Doppia Deluxe con vista – There is only one room of this type and it’s pretty unique. 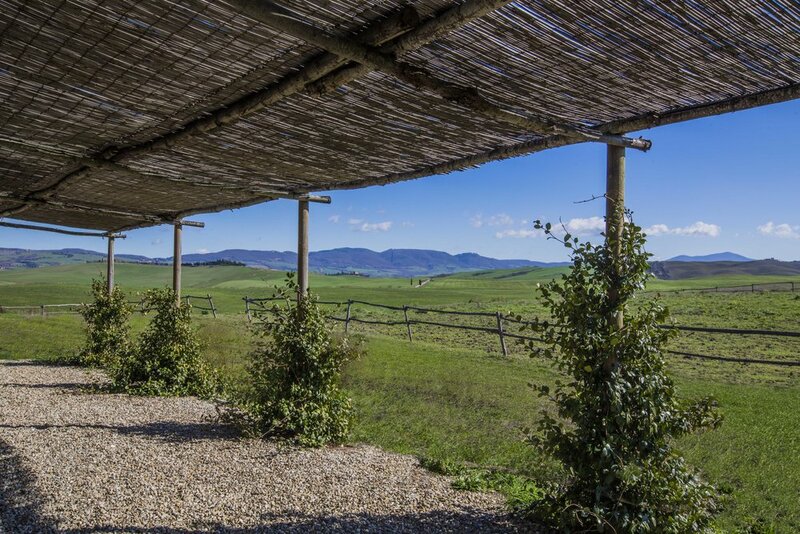 This room, that is located in the dependance coste to the pool with an amazing window facing the Val d’Orcia, is around 25m² and has a king size bed (180x200). In addition to the view from inside of the room, the guests of this room can also enjoy a private patio on the valley. The Double Deluxe with a view is the perfect room for those looking for a breathtaking view over the valley and some privacy. It’s possible to add an extra cradle in this room for a baby under two years.